It has been proclaimed by North West Premier, Prof Tebogo Job Mokgoro, that the NWDC is transferred to FEED. The administration of the NWDC including all legislative oversight functions and responsibilities, thereby resort under the Department of Finance, Economy and Enterprise Development under the leadership of MEC Wendy Joy Nelson. The proclamation has been issued in terms of Section 137 (A) and (B), read with Section 140(1)B and (2) of the Constitution of the Republic of South Africa. In streamlining efforts for maximum service delivery and enhancing the effectiveness of the NWDC, this decision is a welcome step forward in ensuring achievement of targets and the NWDC’s mandate. The proclamation has effect from 1 April 2018. Download a copy of the signed proclamation here. The North West Development Corporation (NWDC) places on record the facts outlined below in response to articles published in The Mahikeng Mail on 3 and 10 August 2018 and on Bojanala Fm on 22 August on the matter of Tokiso Security Services. When the project commenced in April 2017, it was the original intention of the NWDC to establish a Security Services subsidiary for the NWDC. The further intention was to, over time establish an integrated provincial security provision service accommodating all qualifying security service providers for the purposes of empowerment and job creation. This was to further enhance insourcing from the province’s SMMEs and cooperatives as well as encourage skills development. As a result, the relationship between the NWDC and Tokiso Security Services indeed became that of a client/service provider, as mutually agreed upon. Therefore, Tokiso Security Services is currently a legally-appointed service provider (agent) of security services to and on behalf of the NWDC. In line with a client/service provider relationship, NWDC pays Tokiso according to invoices submitted for security services rendered. The NWDC endorses and corroborates the statement by Abel Naphtaly, owner of Tokiso, expressed in the 3 August 2018 article published in The Mahikeng Mail that he holds strong views against any act of corruption. The NWDC not only shares this sentiment that there was no intention or acts of corruption engaged in and also takes a strong view against such behaviour. During the entire process it had been the intention of both parties to uphold and follow unquestionable ethical and legal business practices. When the project commenced in 2017, it was the intention of the NWDC to buy shares in Tokiso Security Services and convert it into a subsidiary, which was later found not to be feasible. Both parties then agreed on a contractual relationship which has resulted in the current status quo of client / service provider. The NWDC has a strict Business Code of Ethics Policy in place, which all its employees are subjected too. In upholding this principle and policy, should any employee ever act against or contradict these policies, measures are in place to deal with this, such as consequence management and disciplinary processes. The NWDC wishes to advise its clients and the public to be wary of a tender scam that it has uncovered. Fraudsters would email or contact small business owners informing them that they had been issued a government tender, usually to the value of a large amount. The tender documents pretend to be issued by national government departments, even showing their logos. Such an email with seemingly genuine documentation would be sent to the business, despite the fact that the owner had not formally submitted any bidding documents, nor attended a tender briefing meeting. Click here to download an example of such fraudulent documents that were sent to an unsuspecting NWDC client. The NWDC advises all business owners to exercise extreme caution when receiving such, or similar correspondence. Should a client be uncertain whether such documentation is authentic, they are encouraged to contact their nearest NWDC branch and ask for the assistance of the NWDC’s Small Business Division. 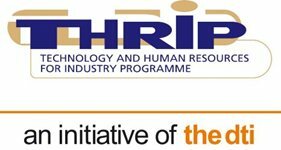 The dti in partnership with North West Development Cooperation invites you to an industry and stakeholders workshop on Technology and Human Resources for Industry Programme (THRIP). The aim of the workshop is to deepen understanding of THRIP and its requirements including how to complete the revised application form, project proposal and budget breakdown templates.